THIS multi-talented performer started out as a singer, and though she has set the silver screen ablaze, her first love is still music. 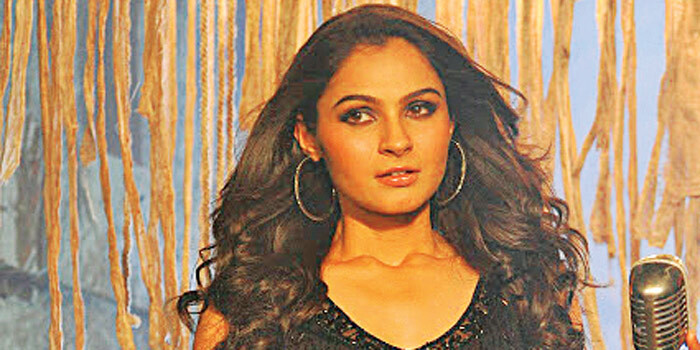 Well known singer and actor, Andrea Jeremiah will perform today as part of the Chennai Women International Film Festival, at the Music Academy. a�?Ia��ve been onstage ever since I can remember. Ia��ve done solo music shows long before I became an actress. And quite a few actors, including myself, have performed at award shows, corporate shows etc. But yes, this will be my first public solo music show after entering the film industry as an actress,a�? she says. The actress promises her movie hits and also her interpretations of other chart toppers. a�?I have worked on making it an interesting mix,a�? Jeremiah says. As for her movies, we will get to see her a lot more this year, in radically different roles. a�?First up is Aranmanai which will release soon. Ia��m almost done with Utthama Villain which should release in the latter half of 2014 and Ia��m halfway through Taramani. I have just started my untitled film with Jai, which is being directed by Saravanan. And then, of course there is Vishwaroopam 2,a�? she says.